Photo: 'Green' NTT Docomo Yoyogi Building NTTドコモ代々木ビル in Shibuya, Tokyo, Japan. 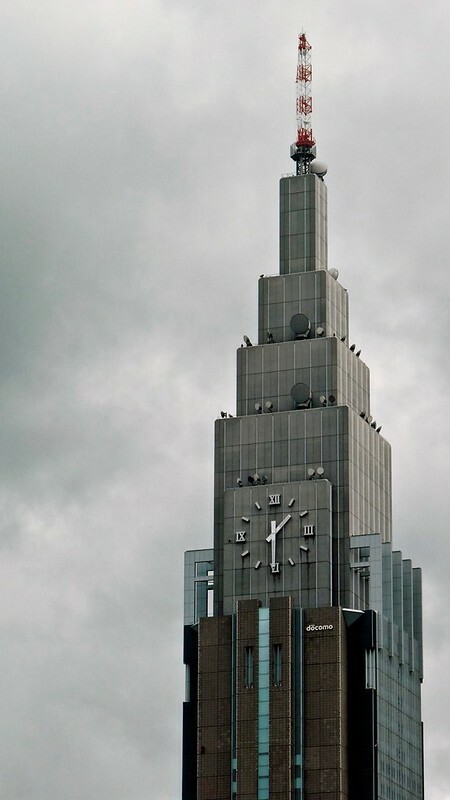 The NTT Docomo Yoyogi Building is a skyscraper located in the Shibuya in Tokyo, Japan. At 240 metres (790 ft) tall, it is the fourth tallest building in Tokyo. The NTT Docomo Yoyogi Building is owned by the NTT Docomo group. o commemorate NTT Docomo's 10th anniversary, a 15-meter-diameter clock was put into operation in November 2002. Solar energy is partially used to power the building. A garbage separation system employed within the office helps to reduce waste and increase the recycling rate. The waste water is recycled for reuse, and rainwater is reused for the building's toilets. (Source: Wikipedia).